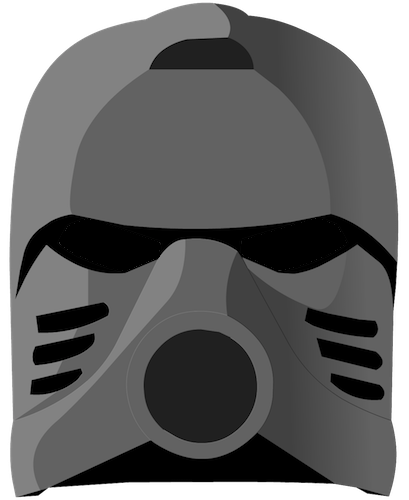 The Rua Nuva is the Kanohi Nuva Mask of Wisdom. It gives its user the enhanced powers of Levitation, Water Breathing, and X-Ray Vision, which the user can share with nearby beings. It can be formed by immersing a destined Kanohi Rua in Energized Protodermis or by merging a Miru Nuva, Kaukau Nuva, and Akaku Nuva together. The mask user(s) can activate the powers separately or together. If the Rua Nuva were to be taken off of its Kaita user, it would continue to stay merged as one mask for as long as the Kaita still existed. The only beings able to use this mask are Toa Nuva and Toa Nuva Kaita. The mask appeared in the shape of a Miru Nuva. This page was last edited on 29 August 2017, at 15:06.